April 7 David Dondero and Franz Nicolay Slowdown Jr., 729 N. 14th St. 9 p.m., $10, theslowdown.com David Dondero is Omaha’s favorite non-native singer-songwriter. 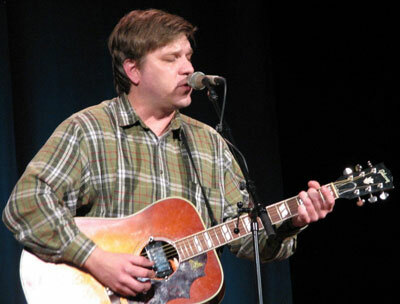 Ties to local musicians made us a perma-stop on his tours and his engaging lyrics and riffs made us fall in love — whether invoking our “real Tina Turner,” or facing facts of flawed immigration policy with the poignant “Building the New Berlin Wall.” Fittingly, in 2006 NPR named Dondero one of the best living songwriters, alongside greats like Tom Waits and Bob Dylan. Multi-instrumentalist Franz Nicolay is best known as longtime (but now retired) keyboardist for The Hold Steady, but also performed with many notable acts and formed NYC collective Anti-Social Music.